That there is an art installation on a San Francisco street corner is hardly surprising. More interesting is the fact that the humble sculpture — created by artist Ana Teresa Fernández and architect-designer Johanna Grawunder — is part of one of the most ambitious corporate real estate projects seen in recent San Francisco history. That project is called 5M and it is a strange amalgam:. part co-working space, part corporate office space for tech giants such as Yahoo, part master-planned bohemia, and part naked effort by mega-developer Forest City to turn a rare piece of available real estate in the city’s downtown core into a sleek hive of tech startups and assorted other creatively inclined businesses. 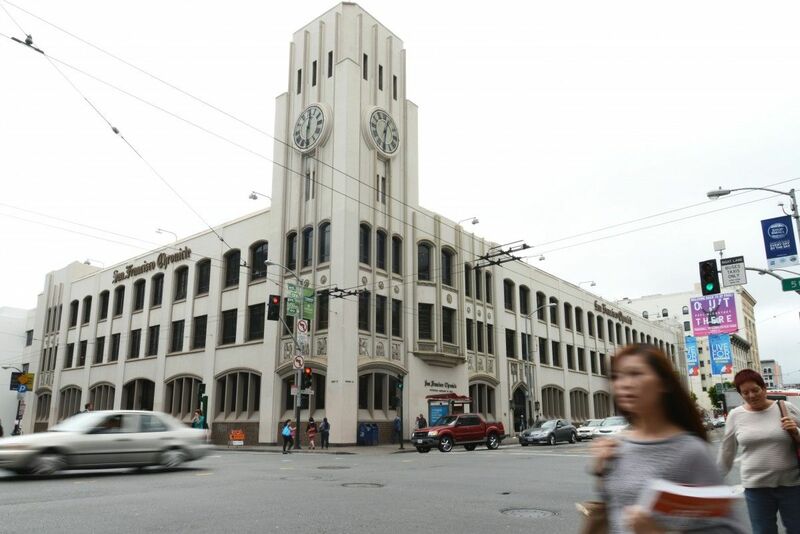 The plan is to build out the now-gritty 4.5-acre block surrounding the Chronicle headquarters over the next several years, eventually ending up with a whopping 1.8 million square feet of usable space, spread out across the newspaper building and adjacent towers. There will be 900,00 square feet of office space, 750 residences, restaurants, bars, retail and nearly 34,000 square feet of open space, much of it on the Chronicle Building’s rooftop. 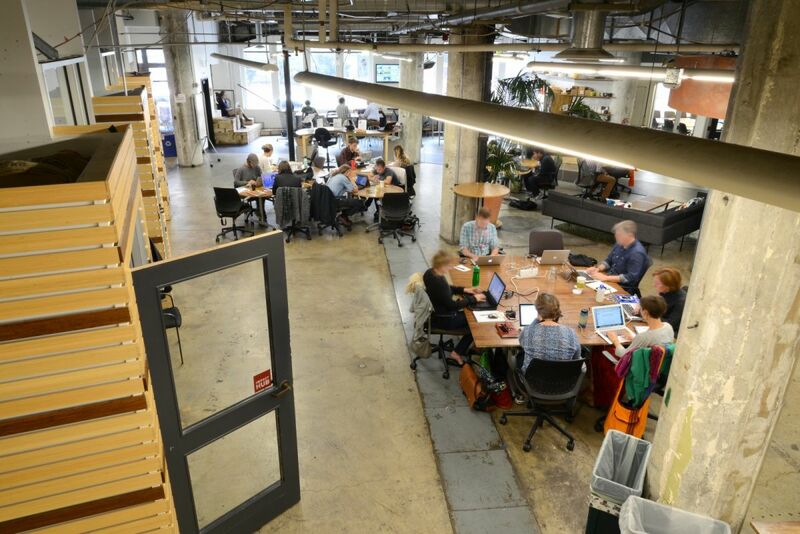 Creative organizations and a large collaborative workspace are envisioned as anchors to draw traffic the same way a shopping mall might rely on a Bloomingdale’s or a Nordstrom. Forest City, which has made its name with ambitious, large-scale projects, envisions a complete, purposeful mélange of urban creative-class activity — a dense complex of offices, home-grown shops, pop-up markets, cozy bars, open space and even a DIY manufacturing workshop called TechShop, contained within just four acres. A cool neighborhood conveniently assembled within one coordinated footprint. 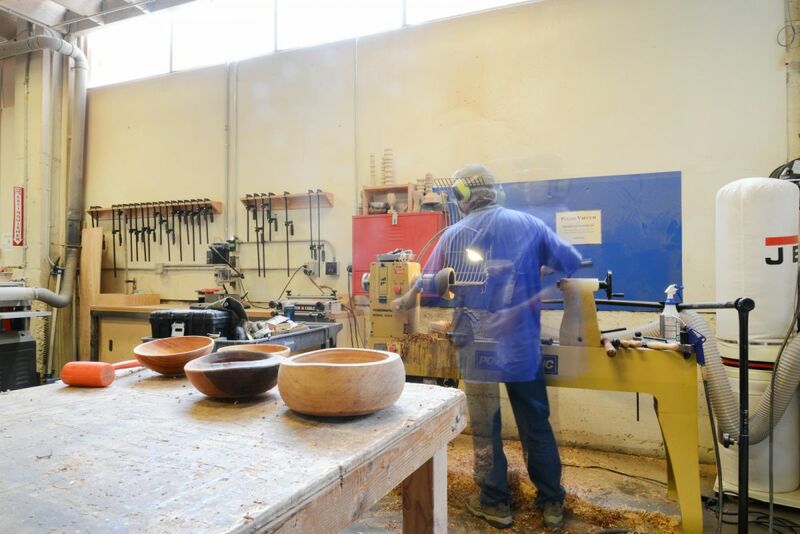 Already, the vision has begun to be realized, with arts organizations, a co-working space, and a number of tech tenants, including Yahoo, and the TechShop already doing business on the site. Food trucks are selling Indian veggie wraps and other such delicacies. If all goes as planned, the public review process for the project will begin in October and when all state and city public approvals have been given, construction will commence. Right now, the hope is that builders will be able to start work in 2017. Off the Grid is a lunch destination set up by Forest City in unused space on the 5M site. Laura Crescimano is principal and co-founder of the San Francisco-based Sitelab Urban Studio, the lead urban designers for 5M. The traditional real estate approach, she says, is “plan the whole thing, get it approved, then start.” Forest City is turning that approach on its head with 5M; the project has both begun and is still being planned. “We love that it gets to be already alive now,” says Crescimano. It’s an adaptation, she says, of the notion of running first with a minimum viable product, a concept borrowed from Silicon Valley as the developer tries to lure its startups to an old newspaper building in San Francisco. “Users are trying to figure out how to use the city,” says Alexa Arena, senior vice president at the developer Forest City and head of the company’s Northern California office. She is sitting in a conference room in Forest City’s San Francisco headquarters, a half block from the site, long blond-brown hair self-assuredly spilling onto a blue blazer and peach shirt. “What we’re trying to do is to show them how they can.” But Forest City has to learn it for itself first. Imagine the block bounded by 5th, Mission and Howard today as a rectangle. Today, starting at its top left is the three-story Chronicle Building, making itself known by a striking clock tower and the unmistakable masthead emblazoned over its entrance. Jutting out from the building’s right is an elevated walkway, connecting to a smaller building that served in the past as an old Chronicle printing bay. To its right, an empty parking lot, a sprinkling of trees and a few still smaller buildings. Continue clockwise and you hit a building that now houses TechShop but was once a storage space for the newspaper. From there, it’s more parking lots, alleyways and the occasional tree. As a piece of city patchwork, it’s neither particularly charming nor especially not. Which is why the language often used by Forest City and allies to describe the 5M site — “underused,” “cement,” “not much going on” — offends some in the area. “It clears the space of all worth in order to reinsert value through a real-estate development,” wrote arts researcher and writer Malia Rose Helfmeyer in a thesis on 5M for the California College of the Arts. Seen from a distance and in the context of steeply gentrified San Francisco, Helfmeyer’s critique resonates. But walk the site and there is little denying that nearly half of it is covered by barren pavement and boxed in by chain-link fencing. Today, the tallest building in the area is 65 feet high and the shortest building a low 15 feet. In the Bay Area, Forest City has built housing, offices and retail developments, including the Westfield San Francisco Centre, a large high-end mall featuring the second largest Bloomingdale’s and Nordstrom in the country, along with Class A office space. Its most recent, high-profile project in San Francisco was a sweeping 220,000-square-foot military building-turned-luxury-apartment complex in the city’s Presidio National Park. Like many of the New York Stock Exchange-listed company’s projects, it was done through a public-private partnership. In Oakland, the developer partnered with the city to build a residential and retail anchor for the emerging Oakland Arts and Entertainment District. Called The Uptown, the development helped usher in more investment to a part of the city that is now growing after years of neglect. Forest City has a good eye for trends. In the 1980s, it partnered with the city of Cambridge and the Massachusetts Institute of Technology (MIT) to develop vacant land owned by the university into a mix of apartment buildings, offices and lab spaces that are now home to several biotechnology companies. Cambridge residents opposed the development at first because of fears of gentrification. Today, it’s hard to imagine the area ever wasn’t bustling with MIT employees and students. More recently, Forest City subsidiary Forest City Ratner bought 22 acres of hip Prospect Heights, Brooklyn and built the borough’s first basketball stadium. Apartment and office towers are planned to rise on the formerly low-rise blocks surrounding the 18,000-seat, steel-sheathed arena. Across the East River, Forest City Enterprises is developing New York’s first tech office campus in partnership with Cornell University and the city’s economic development agency. When fully realized, the high-profile development will likely go down on record as one of former mayor Michael Bloomberg’s signature achievements. In Denver, another division of Forest City developed Stapleton, a 4,700-acre master-planned neighborhood built on the site of a decommissioned airport 15 minutes from downtown Denver. By the time the infill project is complete, it will be home to some 30,000 people living in 12,000 homes surrounded by parks, office buildings and shops. What 5M shares with these projects is a Zeitgeisty-feel — co-working and maker-spaces and tech startups, art, and food trucks all in one place, oh my— and a resounding faith that urban America is on its way to becoming a taller, denser and more affluent place. What may be different, if Forest City is sincere about its vision, is the amount of risk involved. Makers make at the Tech Shop. Forest City has invested much trust in Arena, the 30-something head of the company’s Northern California office. She has an unusual background for a developer, though her career path can be seen as a sort of a progression from thinking about the effect of place to thinking about affecting place. While in high school, she founded a sort of urban Outward Bound-esque group for at-risk kids called Moonrise. While an undergraduate at Columbia University, she spent time in Chiapas, Mexico, studying the leftist Zapatista reaction to a local bank encroaching on communal land. 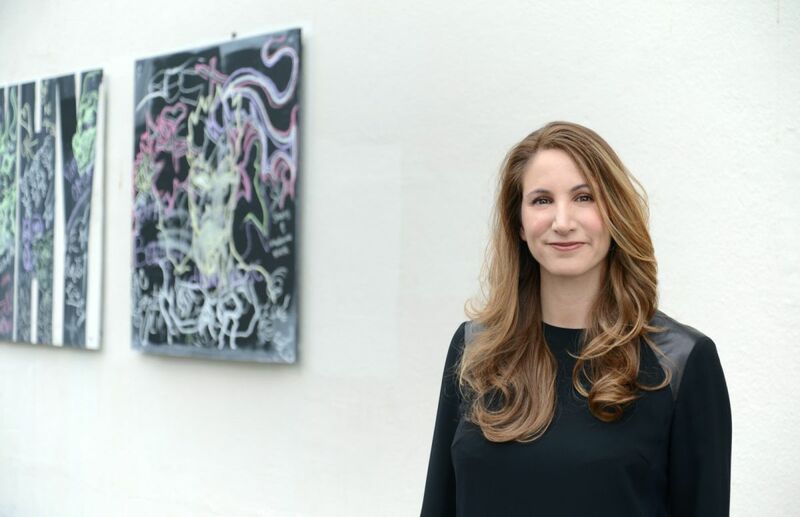 While in graduate school — she has a Harvard MBA — she explored how businesses today can thrive in the connected environment of cities. She now leads Forest City’s Northern California office. When I asked why she chose to work for the buttoned-up company rather than say, a Zapatista-inspired credit union, she answered without hesitation. “I went to Forest City because for 90 years it has been figuring out how to push the envelope in placemaking for the next generation of cities,” she said. There are, Arena points out, a number of brains working to figure out 5M, but those deeply involved in the project point to her as its powerhouse, calling Arena a “very dynamic thinker” who is “incredibly mindful” and gives the impression that “she has been thinking about this for decades.” She’s already been proven right. Back when Forest City and Hearst partnered, the economy had been upended: The job was done. The office was dead. The future was atomization: We’ll soon all be freelancers working from home, the chorus went. Arena sold the idea that the office would still be needed but different characteristics would be important. The office of the 21st century would need to be in dynamic, busy locations and designed to be social, given that “the whole point of the office would be to collaborate and interact.” It’s clear Arena was on to something. Talk about 5M with those involved at any length, and one company name pops up again and again: Square, as in the card-reader firm co-founded by Twitter co-creator Jack Dorsey. Square set up its headquarters in the Chronicle Building in 2010, after being wooed by Arena. 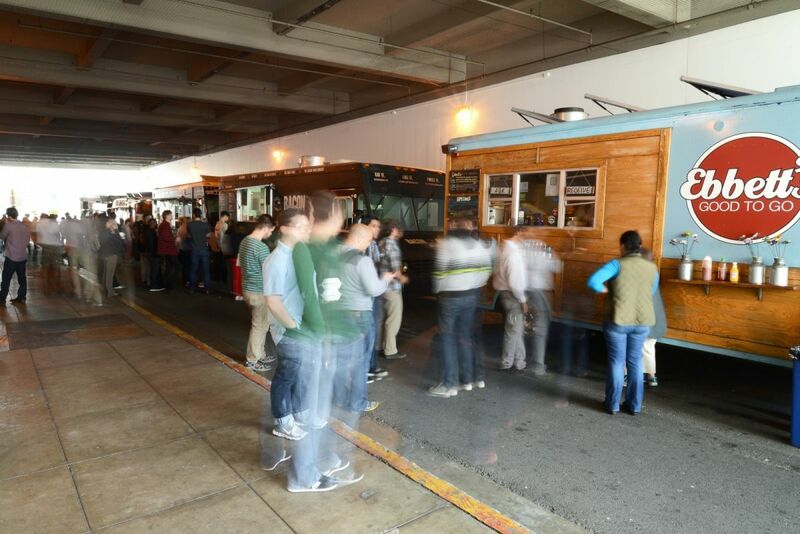 The company put 5M’s shared spaces to use immediately, testing out a prototype of its credit card reader at the Off the Grid food trucks set up by 5M in an old tunnel. “That’s the city like a lab,” Arena proudly recalls. In 2013, Square decamped to a larger space on Market Street but soon enough, offices it vacated were snapped up by Yahoo. Tech isn’t 5M’s sole focus. When project planners describe 5M, they talk about culture, art and foodie destinations, “from hawker stalls to food trucks to restaurants.” But tech in one form or another is the Zeitgeist in San Francisco circa 2014. It seeps into everything. The city’s interest, says John Rahaim, isn’t in replicating a tech campus in San Francisco, at least in the traditional meaning of the term. The perfect lab, hermetically sealed for industry secret-keeping “doesn’t work very well for us from an urban design standpoint in the middle of the city,” he says. What the city is after is a development that is more “organic,” he says. San Francisco, says Rahaim, is both instigating and capitalizing on, “essentially, Silicon Valley moving north.” Workers, they say, want to be in the city and companies want to give them the option. Tech companies, says Rahaim, are craving buildings with wide-open floors that have stairways and others functional parts tucked to the side, leaving plenty of room for bullpen-style offices — not to mention expansive walls for the murals that are de rigueur in many tech company spaces (and abound in SoMa’s streets). The ideal is the “brick-and-timber building,” but there are only so many old leather factories, industrial storage spaces and liquor distribution centers to go around. “In the tech wars,” explains Arena, “people are going to want to have options for their talent.” For bigger companies, that likely means a distributed-headquarters strategy: some space in traditional suburban tech parks, some space inside the city limits. This notion of “creating shared value” can be seen as the sort of hypothesis behind 5M. In conversation, Arena cites other scholars that have studied the promise of connection like economic theorist Jeremy Rifkin, “disruptive innovation” expert Clay Christensen, and Where Good Ideas Come From author Steven Johnson. The premise is that development can be good for everyone, as long as connections are made. 5M will transform the corner of 5th and Mission streets. Helfmeyer and many others want to know exactly what 5M will do for the block, the surrounding neighborhood and the city beyond, currently in the throes of an epic affordable housing crisis that many believe threatens the very core of its identity. Perhaps learning from its experience with overpromising community benefits in the past, Forest City has remained tight-lipped about how it plans to negotiate with the city. In an interview in the spring, Rahaim, the city planning director, said San Francisco “expects a fair amount in return,” given the project’s size and especially since Forest City is proposing bigger, bulkier buildings than those for which 5th and Mission is currently zoned. Forest City says it is on the cusp of working out a formal Community Benefits Package, the sort of agreement that traditionally includes requirements for public space, traffic mitigation and parking (Forest City is calling for 700 new parking spots on site), and jobs (Forest City is predicting nearly 4,000 new ones). While other cities may leave affordable housing up to such a negotiation, San Francisco passed an inclusionary housing ordinance that requires all market-rate projects of 10 units or more to contribute to the city’s affordable stock. Developers have three options for fulfilling the requirement; they can set aside 12 percent of the units being built for below-market-rate rents on site, build 20 percent of the units off site, on a separate parcel of city land or pay a fee equivalent to 20 percent to the Mayor’s Office of Housing. In September, the company said that 20 percent of the 300 apartments planned for the site — 60 apartments — will be rented at below-market-rate rents and money will go to the office of housing for another 90 affordable units — 20 percent of 450 condos planned for a second on-site building — to be built off site. The company will use federal tax credits for the required off-site affordable units, it has said. Ethan Kent is a senior vice president at Project for Public Spaces, a public space advocacy group that promotes “placemaking,” a term invented by architects and planners to describe the process of designing a space to feel unique and active. At the start of the 5M project, the New York-based non-profit provided advice to Forest City on “leading through public spaces.” The key, Kent says, is creating spaces for overlapping multiple uses, places like Dublin’s vibrant Temple Bar cultural quarter, London’s covered arts-and-shopping spot Old Spitalfields Market, and the pedestrian laneways and arcades that run through Melbourne, often festooned with street art. A strong public space invites multiple distinct uses; you can picnic, join in a kickball game, catch a movie screening or browse at a market. “The layering of uses is what makes it more public and keep people coming back,” Kent says. He believes the U.S. still hasn’t cracked the code on creating great public destinations and to blame is the fact that our public spaces don’t do enough to encourage the dynamism seen in cities in other parts of the world. “Proximity alone,” isn’t enough, he says. “It’s a little hokey,” says Crescimano, “but what that told me is that we need to build [avenues for input] into the design.” They’re entertaining the idea, she says, of coating one side of the Chronicle Building with chalkboard paint. Tim Nichols is the Bay Area managing director of the Impact Hub, the co-working space anchor of the Chronicle Building. At first, he says, it was “kind of exciting” having tech stars like Square around; Dorsey, its high-profile CEO and a bit of a polymath, sat on a Hub panel, on human trafficking. Then one day, the designer of the Hub’s Milan space was visiting and curious about Square’s space. Nichols, sitting on a couch in an open lounge on the Hub’s second floor, points down the hall to an old library space. “The doors were always open, so he just wanders in and starts taking pictures of their space.” Nichols grins: Square, a startup at the time, was neck-deep in developing its core technology. 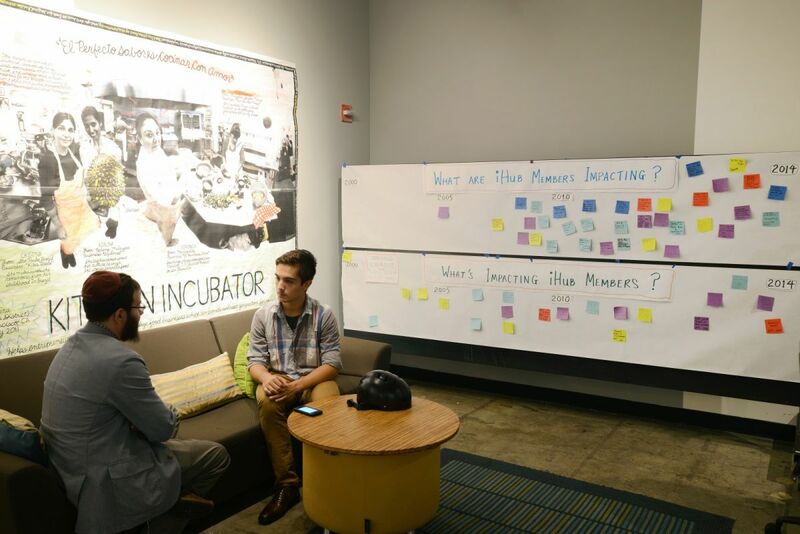 Impact Hub sees itself as central to the mission of 5M. Alex Michel was the founding managing director for the Hub in the Bay Area. In 2011, he joined forces with Forest City to help direct the 5M project. Michel gives Forest City credit for original experimentation. He refers to what’s happening at 5M as “codifying civic good” into development. “Most developers are going nowhere near the subject,” he says. Ethan Kent thinks that is beginning to change. “They realize that the way to gain more profit is to actual compete to contribute value,” he says. The goal is what’s known in the field of environmental psychology as “place attachment,” or the emotional bond that can form between people and spaces and that can encourage people to want to contribute to the space. Forest City wants to create a place that nudges people to contribute their own value, whether that is art, hospitality or commerce. In the summer of 2014, Katz co-authored a report called “The Rise of Innovation Districts: A New Geography of Innovation in America.” In it, he details that the recent flurry of innovation-focused development has, in some places, been pushed by mayors, as was the case with former Mayor Tom Menino and South Boston’s waterfront. In other places, entrepreneurs have led the charge; think Tony Hseih’s Downtown Project in Vegas. But in many places, the drivers have been real estate developers. Real estate developers are going to be on the cutting edge of this, he says. “They’re like their own kind of Internet in a way,” says Katz, “sharing ideas within their own company and across multiple cities.” Then they replicate from there. For example, the Cambridge Innovation Center perfected in east-central Massachusetts was later replicated 1,200 miles west in Missouri. Corporate real estate is learning that it must break its old rules to attract growing creative industries. For those companies that will do best in cities, figuring how to foster Jane Jacobs’ “sidewalk ballet” is part of the design process. Unfortunately for big real estate,no amount of money or intention can fully determine how people interact with each other or a given space. It’s tempting to see what’s taking place at this four-acre site as a tectonic shift. Not only is the Internet killing off print, old and shuttered companies like the Chronicle are giving way to startups like Square and the atomized workers like those filling the Hub, all of them energized by edgy ideas, collaboration and sharing. “Chronicle and Building Are Reflection of Economy,” went a headline in the Bay Citizen in 2011. But it’s useful to remember that San Francisco has always been a city in flux — everything old was new once, and often vice versa. Consider a headline that once blared in the S_an Francisco Chronicle_: “Loft War Raging in SoMa: Live-Work Spaces Provide Housing but Displace Businesses, Artists.” That’s from an edition of the paper some 16 years ago. And even the iconic San Francisco Chronicle, of course, hasn’t always been the San Francisco Chronicle. It began life in the 1860s, founded by a pair of upstart teenage brothers — each about 20 years younger than Marissa Mayer was when she took over as CEO of Yahoo. The paper found its footing by beating its bigger, slower-moving competitors to publishing the news that President Lincoln had been shot. “People want to be in a city that has a brand,” Forest City’s Kevin Ratner has said, and San Francisco has long been about trying new things. The hope for 5M is that its buildings, places and open spaces can catch up. This article has been updated to reflect the following: Alexa Arena is the head of Forest City’s Northern California office. Development Director Audrey Tendell is the lead on the 5M Project. The developer will use federal tax credits to build the required off-site affordable housing. Forest City is requesting 700 new parking spaces on the site. The project will be 1.8 million square feet.